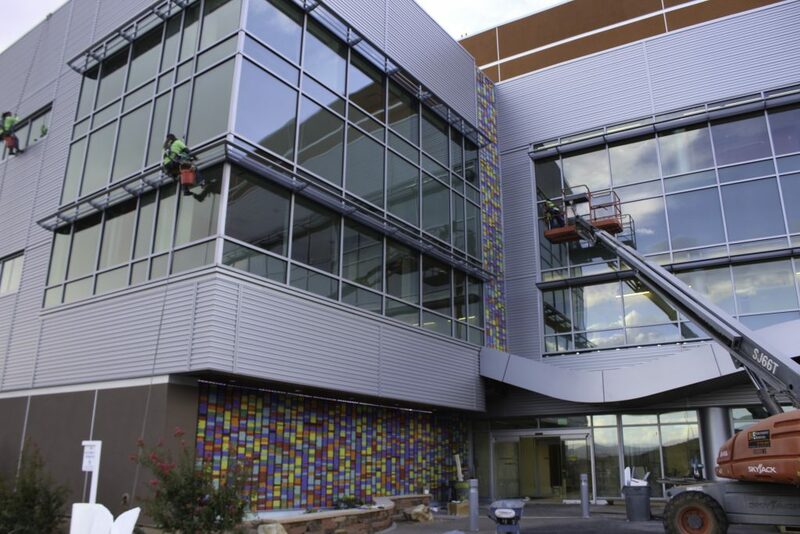 ST. GEORGE — Now that the Dixie Regional Medical Center expansion project is almost complete, the hospital is ready to show off its 500,000 square feet of new buildings and centers during three days of grand opening celebrations to be held next week. 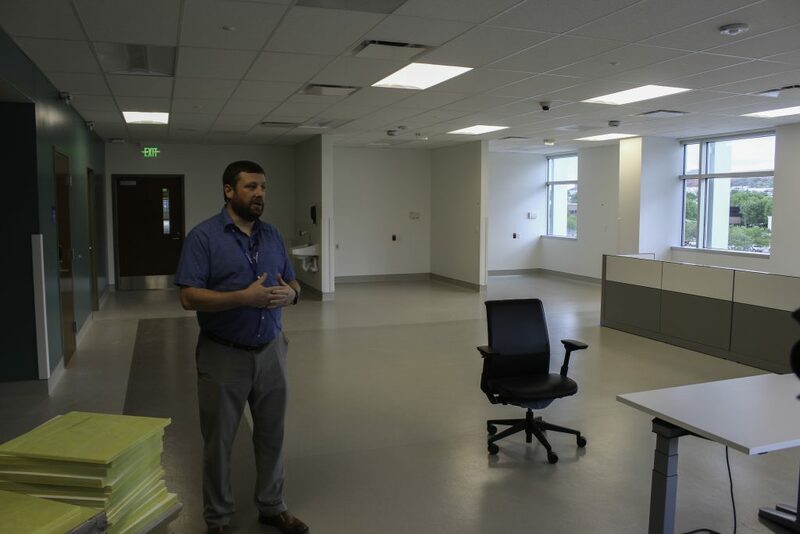 In advance of the official events, St. George News was given an advanced tour of the new facilities on Wednesday. The series of grand opening events includes a Piano Guys concert on Wednesday, followed by a “Growing Together Ceremony” Thursday at 5 p.m. Self-guided tours will take place on Thursday and Friday from 3-7 p.m., and again on Saturday from 10 a.m. to 7 p.m. coinciding with the annual DRMC “LiVe Well Health Fair,” which runs from 10 a.m. to 1 p.m. 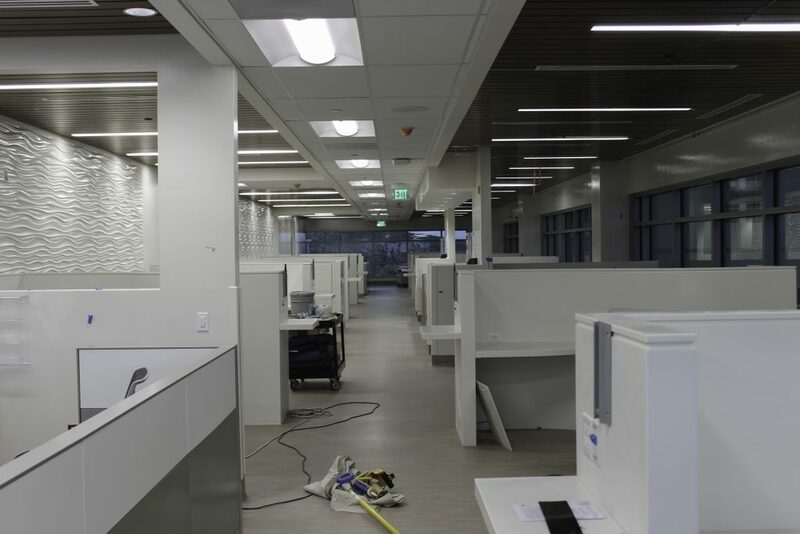 Since tours are not commonly offered due to patient privacy, the hospital is encouraging those in the community to go on a tour of the $300 million project to see the new services and buildings that DRMC is providing to Southern Utah. A special tour will be led by Rhett Frei, family medicine doctor, at 3 p.m. on Saturday for a more in-depth look at the new hospital services. The tour starts at the women and newborn center, makes its way through the behavioral health center, the intraoperative MRI suite, the hybrid angiography suite, the hyperbaric chamber and the rehab garden and concludes at the cancer center. 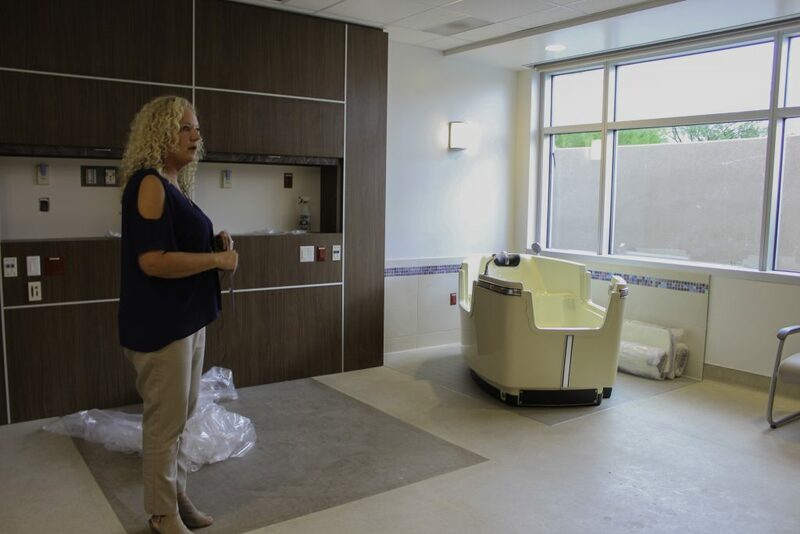 The tour of the new Women and Newborn Center will highlight a number of features on two floors, including five high risk, four low intervention, eight traditional labor and delivery and two Simply Birth rooms. The rooms are larger to accommodate families and visitors as well. They also added a gathering room for high-risk patients to socialize during longer stays. The tour also goes through mother baby rooms where patients go after delivery, and the neonatal intensive care unit that can care for babies as young as 24-week gestation and twins. The Simply Birth rooms create a comfortable, home-like atmosphere while still within the “safety net” of the hospital. These rooms also come equipped with a large tub to help relieve contractions for mothers in labor. Next the tour goes through the behavioral health access center, which provides assistance to those in crisis who can stay up to 24 hours and can speak with therapists, nurses and psychiatrists, and are given resources for after they leave. “We’re able to really provide this fantastic community resource for patients and have them see someone and then get them back in the community, back home,” said Jeremy Nielsen, manager of DRMC behavioral health. The new center will allow them to go from seeing six patients at a time to nine, as well as increasing from 13 inpatient spaces to 18. Large windows give those in the access center the best view in the hospital. 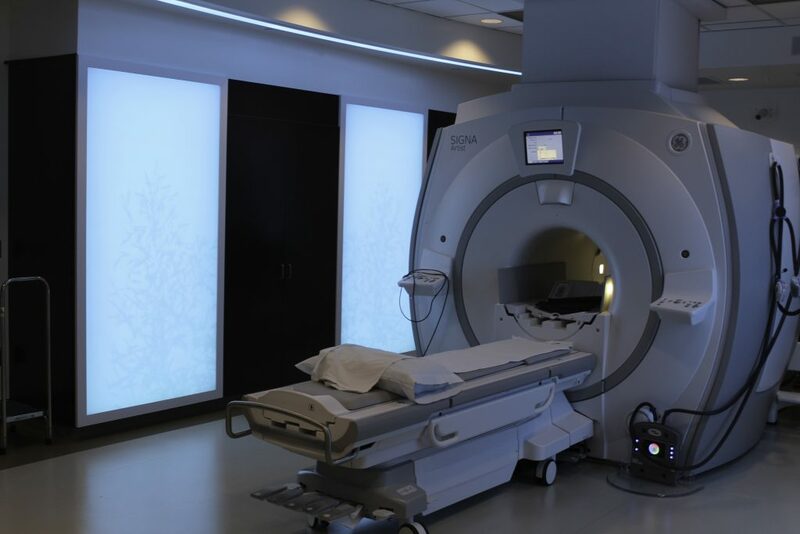 Next on the tour is the new intraoperative MRI, the first at Intermountain Healthcare, which is connected to the operating room so that doctors performing brain surgery can put the patient in the IMRI to verify that they’ve removed all of the brain tumor instead of putting them through multiple surgeries. The tour then shows the hybrid angiography suite, where transcatheter aortic valve replacement operations and other heart operations, can now be performed. This operation allows surgeons to replace a heart valve by putting a catheter in a person’s artery instead of the traditional method of cutting a person’s chest open, which is far more invasive and a longer recovery. 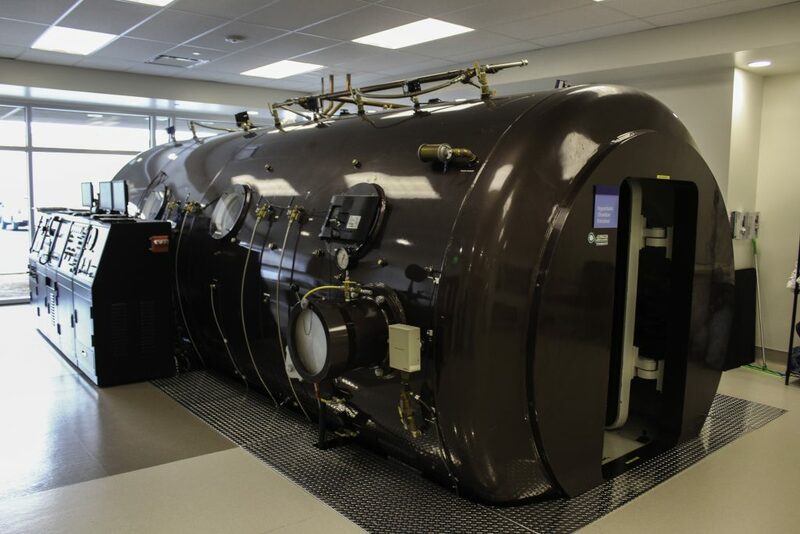 The hyperbaric chamber is next, where patients suffering from a variety of things such as wounds, severe burns, diabetes and carbon monoxide poisoning can receive 100 percent pure oxygen for two or three hours to expedite the healing process. 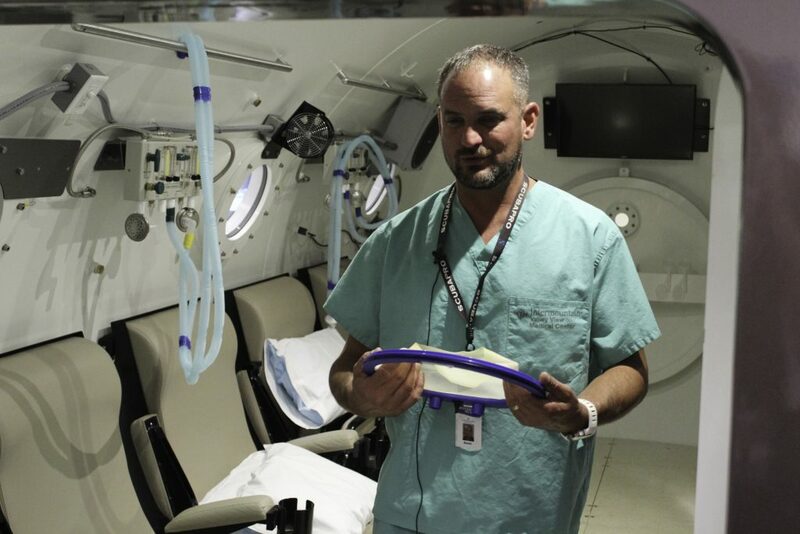 Patients in the hyperbaric chamber receive 18,000 times more oxygen, which pushes into their plasma so they don’t have to wait for the body’s hemoglobin to take oxygen to different parts of the body, said Kevin Dye, hyperbaric technologist. 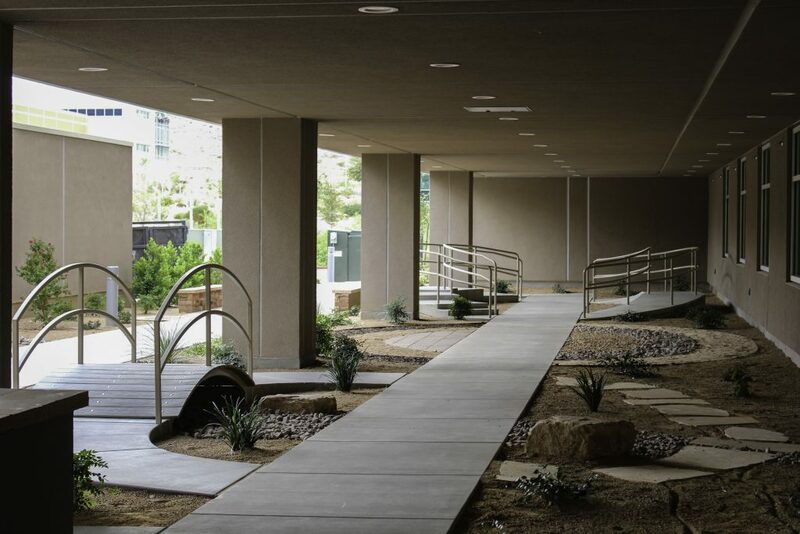 The neurorehabilitation unit has a new garden at the River Road campus for therapeutic intervention, which has a variety of bridges, steps and ground surfaces for patients who went through a stroke or brain injuries to practice walking on to regain balance and ability to walk on certain surfaces so they won’t fall when they leave the hospital. They can also practice their gardening skills there to aid in their recovery. 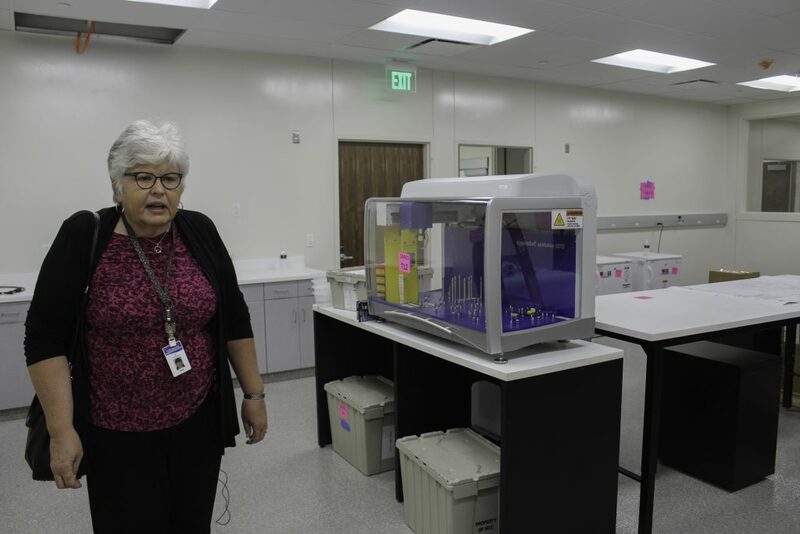 The tour concludes at the new Intermountain Cancer Center of St. George, which has three laboratories for precision genomics, where each patient’s cancer is treated individually after their cancer cells are tested to provide targeted treatment depending their specific genes. The infusion center helps make it easier on the patients by directing them to where they’re going and having the doctors and nurses come to them instead of making them relocate for different things. “We’re going to be the roamers, because we’re not the ones that are sick,” said Jane Jensen, the cancer center’s clinical program director. Patients who come in for treatment can sit in one of 31 seats overlooking what will soon be a garden, or they can sit on a porch outside. There are also rooms for patients who need privacy due to symptoms of chemotherapy. 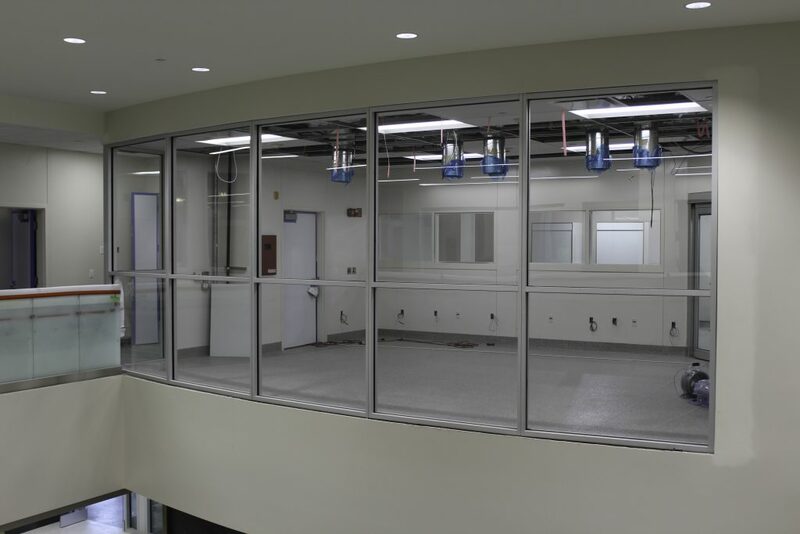 Patients are also able to watch scientists perform the research that benefits patients through a window to the laboratory. It gives the patients hope and inspires the scientists, who can see patients that may benefit from their work. Amazing facility. Thanks for the info!